The expression "can't see the forest for the trees" is a common one, indicating someone who's unable to get the big picture because he/she's too focused on the details. So what is the metaphor for appreciating the shadows more than (or at least as much as) the trees? Do you ever do this? 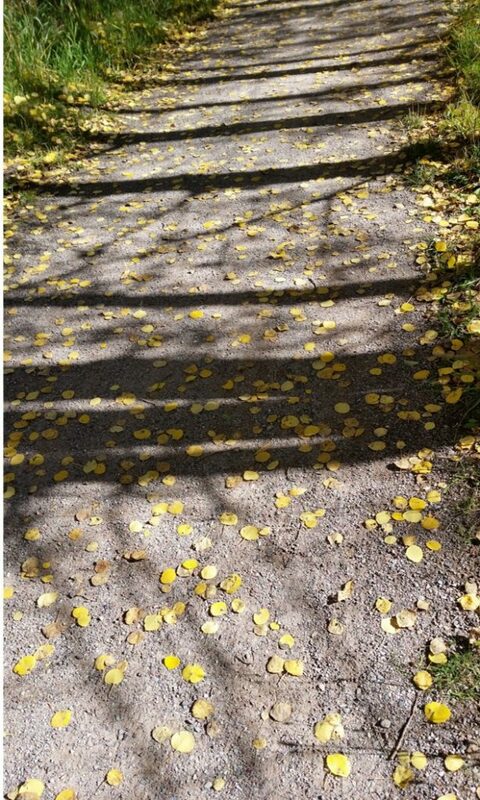 Look down at the path or sidewalk or road and see the patterns of light and dark reflected on them? I honestly can't say I've ever done that until I moved here. So the next questions are – Why me? Why now? Why this? Again, I think this is why the "universe" likes it when you make big changes in your life. Apparently, making changes – even small ones – is beneficial to your brain, too. Breaking routine, even something as simple as taking another route to work, keeps you alert. And according to some research, can also help you prevent Alzheimer's. You don't have to move. You can just change your perspective. I absolutely love the message conveyed by the lyrics in this song. Take a listen. The proverbial "making lemonade from lemons" theme… Beautiful.